A&D HS parents – Giving Tuesday is right around the corner!! Next Tuesday, November 28 is Giving Tuesday. Now in its 6th year, Giving Tuesday was created as an antidote to Black Friday and Cyber Monday. It is a day to give to favorite charities and non-profit organizations, and is publicized through social media. Now that we are a non-profit 501(c)3, The Art and Design High School PTA is participating in Giving Tuesday to help raise needed funds. Can you help? The PTA will be posting several Giving Tuesday messages on Facebook on from tomorrow Wednesday November 22nd through Tuesday November 28th. Monday and Tuesday we will be posting multiple times throughout the day. All you need to do is pledge to share the posts on your own social media pages (Facebook, Twitter, Instagram, SnapChat, etc) and ask people to support our future graphic designers, architects, cartoonists, illustrators, fashion designers, and more. And have your kids participate as well – they can share on their social media platforms – Tap the Art and Design High School Spirit!! IMPORTANT: Make sure to include the hashtags #ArtandDesignHS and #GivingTuesday when you share! We know you may get lots of requests for Giving Tuesday, but we hope that you will support a charitable cause that directly supports the students and teachers of Art and Design High School. 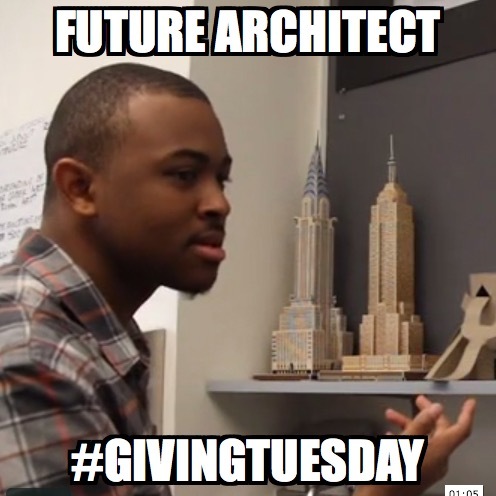 Our goal is to raise $250 on Giving Tuesday. Any amount is welcome and it’s tax deductible! Your Amazon purchases will benefit the school! 4. Slap the postage paid Schoola mailing label on the box and drop off at the post office or leave for your mail carrier. 5. Enjoy your cleaner closet, knowing you are helping to raise cash to support Art and Design students. As soon as the donations are received, Schoola works to put them online on our store page. We can track where items go once they are sold, and how much we make, so let’s get started!